March is Nutrition Month! Recently, Canadians are cooking less and relying more on highly processed foods, resulting in negative effects to their health. As a result, many children grow up without learning basic food skills – such as how to shop, cook, and build a healthy meal. This year Dietitians of Canada wants to help your students Unlock the Potential of Food! As a teacher, you can help foster healthy eating habits in children by teaching them basic food skills. Improved food skills of children can lead to healthier eating, including eating more fruits, vegetables, and fibre, while decreasing intake of highly processed foods. 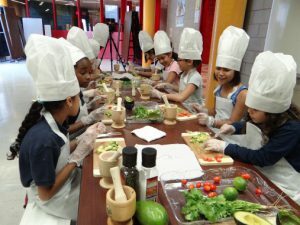 Teaching children how to prepare healthy meals will give them the potential to discover better health as they grow up. Chances are healthy habits started at a young age will continue as the children grow. 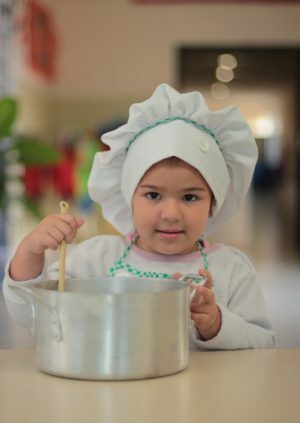 These are other resources to help get children interested in cooking and healthy eating!